Boston Launderers is the largest commercial laundry operation in South Africa. We collect, process and deliver a high-quality laundry service and linen rental solution to the healthcare and hospitality industries. Boston Launderers specialises in the laundering of flatwork (i.e: hotel and restaurant linen, bed and bathroom linen, food and beverage linen, banqueting linen, hospital ward and theatre linen, walk-off mats, chair covers and various other items plus we offer guest dry-cleaning as well as staff uniform laundering services. Our turnaround time on bulk laundering is 24 hours, while we offer same-day delivery for guest laundry. We collect the soiled linen daily and transport it to our centralised laundry facility. At the laundry, the soiled items are checked into our system and processed through the laundry operation. On completion, the items undergo quality control, counting and packing for dispatch. Any shortfalls noted are immediately communicated to the client. Linen is returned and checked back with the customer for a final count. We offer the latest in linen monitoring to our clients as an add-on service to help ensure that stock loss is contained to the minimum possible levels. Our latest innovation makes use of Radio Frequency Identification (RFID) which transmits the unique serial number of an object or a person via radio waves. RFID uses special tags that are sewn into items of linen. These tags transmit the unique serial number of each item to tag readers. Using our proprietary software, this system allows us to automate a number of key processes, including collection, sorting and tracking of items. It’s very accurate, ensuring that items are never misplaced or assigned incorrectly. It’s also very efficient – helping to reduce the time and labour required to process a customer’s laundry. We have contingencies in place such as back-up generators, compressors and boilers, as well as water storage facilities and borehole water to help eliminate downtime in the event of unscheduled disruptions and breakdowns. At Boston Launderers we process up to 65 000 items per day. We’ve been doing this for years, so we have no doubt that our procedures work. 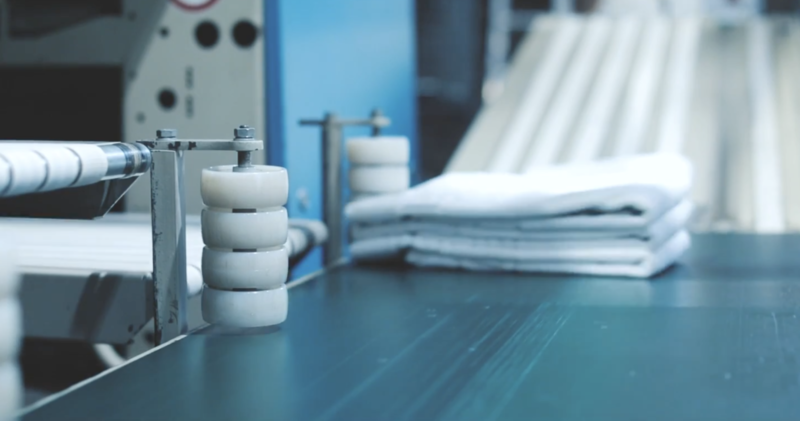 We wash all linen as per ISO 10146 standards, ensuring that we take the utmost care to protect your linen. We have the capacity to handle bulk items and launder large volumes daily while handling guest laundry and offering linen rental. We also have the capacity to continually grow and expand our business, thanks to the sheer scale of our facilities, equipment and staffing capabilities. Our linen consultants will survey and assess your site in order to give you the best laundry and linen rental solution. We can also provide a comprehensive on-site linen management service and distribution at your premises, which includes the management of your linen room and handling of all incoming and outgoing linen so that you can focus on your core business while we take care of all your linen and laundry needs. Boston Launderers has achieved Integrated Management Systems (IMS) compliance status (Certified) IMS comprises of ISO 9001: 2015, ISO 14001: 2015 and ISO 18001: 2007 quality standards and we only use SABS-approved chemicals which comply with SANS standards. We also have a national footprint, with facilities operating countrywide. To demonstrate our commitment to quality and customer satisfaction, we conduct regular Service Outcome Reports that hold us accountable and give us valuable service feedback from our customers, so we are able to measure our service levels and manage them optimally. We also operate on full-proof SLA’s between us and our customers. As a proud member of the Bidvest Laundry Group, we share the group’s commitment to BBBEE when it comes to our staffing solutions and believe in upskilling our workforce and providing growth opportunities wherever possible. We promote sustainability wherever possible at Boston Launderers – from the use of solar energy, to the sourcing of eco-friendly chemicals and water storage and recycling capabilities, to the implementation of a FREME heat recovery system for our boilers, which helps to significantly lessen our carbon footprint. We also take our waste management very seriously and make sure that we dispose of the by-products of our laundry processes responsibly.